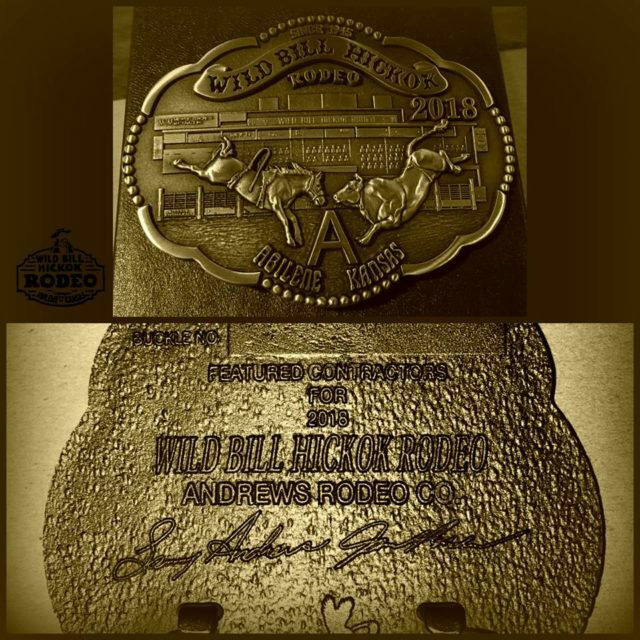 Each year during the week of the rodeo, the Wild Bill Hickok Rodeo Committee holds an auction to celebrate the current years Rodeo Buckle that features local cowboys and cowgirls of the PRCA. 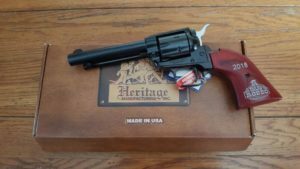 The auction in 2017 saw the auction of the first buckle in the 5th series of the WBHR Collector Buckle Series. 2018 gives us the 2nd buckle of the 5th series featuring the Andrews Rodeo Company. 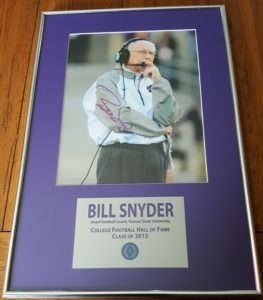 Autographed Picture of Coach Bill Snyder-Head Football Coach as he was inducted into the College Football Hall of Fame. 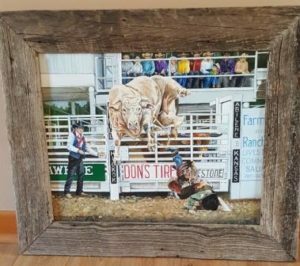 The Very Talented Pat Little has donated this Original Oil Painting of the Hall of Fame and Legendary Bucking Bull Bodacious. 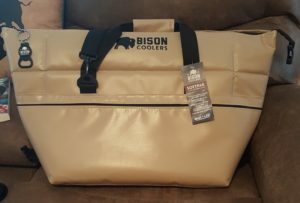 Donated by Collyn Hoffman this brand new Bison Cooler. 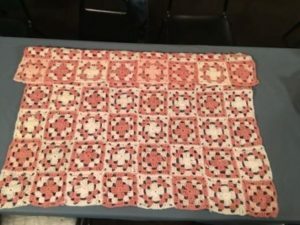 2 baby quilts donated and made with love by Mrs. Amy Feigley of Abilene. 3 complete sets (1987-2017) of the collectors series of the Wild Bill Hickok Rodeo Buckles. 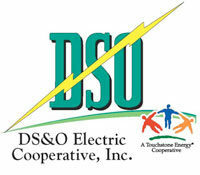 Donated by the Richard Danner Family.